Timetables from the 4/27 through 5/6 will follow weekend/holiday schedules. Please confirm the timetable of any buses you use during this time. "Yodobashi Camera Multimedia Akiba," one of the largest electronics retail stores in Tokyo, opened as the area's new landmark in 2005. At the same time, Akihabara attracts enthusiasts of the subculture media of manga, anime and figurines. This area is one of Japan's top upscale shopping areas where many flagship stores of famous brands are located. The recent openings of fast-fashion boutiques like FOREVER 21 have been changing the district to a new chic shopping area. 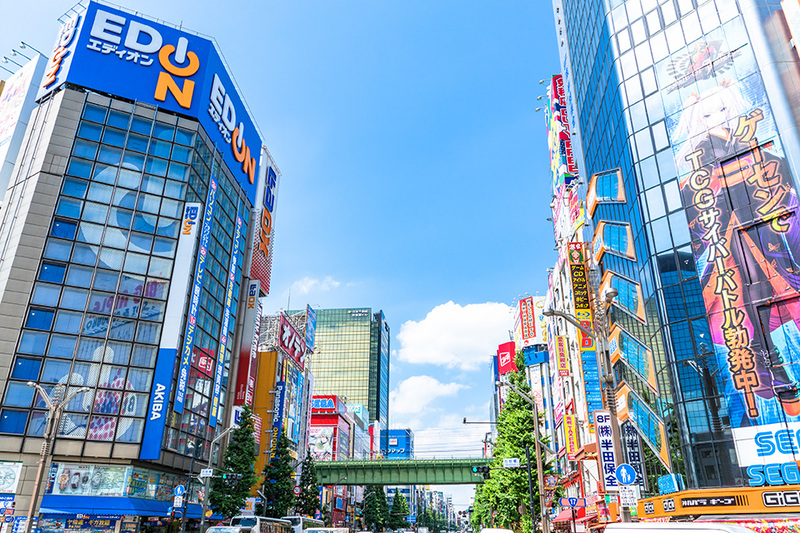 There are many must-see areas around Ueno Railway Station, such as Ueno Zoological Gardens, Tokyo National Museum and the National Museum of Western Art. A wide variety of products are sold at inexpensive prices in "Ameya Yokocho" (candy store alley), which runs along the viaduct between Ueno Railway Station and Okachimachi Railway Station. Transfer to the Tokaido Shinkansen at Tokyo Railway Station, and get off at Atami Railway Station. It takes about 46 minutes. Transfer to the Tokaido Shinkansen at Tokyo Railway Station, and get off at Nagoya Railway Station. It takes about 103 minutes. Transfer to the Tokaido Shinkansen at Tokyo Railway Station, and get off at Kyoto Railway Station. It takes about 141 minutes. Transfer to the Tokaido Shinkansen at Tokyo Railway Station, and get off at Shin-Osaka Railway Station. It takes about 156 minutes. Transfer to the Nagano Shinkansen at Tokyo Railway Station, and get off at Karuizawa Railway Station. It takes about 63 minutes. Transfer to the Nagano Shinkansen at Tokyo Railway Station, and get off at Nagano Railway Station. It takes about 96 minutes. Transfer to the Joetsu Shinkansen at Tokyo Railway Station, and get off at Niigata Railway Station. It takes about 129 minutes. Transfer to the Yamagata Shinkansen at Tokyo Railway Station, and get off at Yamagata Railway Station. It takes about 165 minutes. Transfer to the Akita Shinkansen at Tokyo Railway Station, and get off at Akita Railway Station. It takes about 244 minutes.